Dr. P.J. Blount is an adjunct professor in the LL.M in the Air and Space Law at the University of Mississippi School of Law and a Visiting Scholar at the Beijing Institute of Technology School of Law for the Fall of 2017. He also teaches in the Department of Political Science and Law at Montclair State University. He is the former Research Counsel for the National Center for Remote Sensing, Air, and Space Law at the University of Mississippi School of Law. His teaching includes courses such Space Security Law, International Telecommunications Law, Cyberlaw, International Law, Human Rights Law, Intellectual Property, and US Foreign Policy. Blount’s primary research areas are legal issues related to space security and cyberspace governance. He has published and presented widely on the topic of space security law and has given expert testimony on space traffic management before the U.S. House of Representatives Subcommittee on Space. Blount serves as the co-editor-in-chief of the Proceedings of the IISL; as the editor-in-chief of the Journal of Space Law; and as an editorial board member of the Journal of Astrosociology. Additionally, he serves on the Board of Directors of the International Institute of Space Law and as the Chair of the Legal Aspects Technical Committee of the American Institute for Aeronautics and Astronautics. He is a member of the State Bar of Georgia. LL.M. (advanced), McGeorge School of Law, Sacramento, California, U.S.A.
Patrick Honnebier is identified as one of the very few aircraft finance lawyers having obtained the benefits of both worlds. He is a long-standing academic and also he has a vast practical expertise in international aviation finance and lease laws. The combination of scholarly legal knowledge and its direct application in practice makes him a well-rounded aircraft finance lawyer. Honnebier is Of Counsel at Gomez & Bikker Law Offices and based in Amsterdam. He advises major manufacturers, banks, lessors, corporate and private operators and airlines in relation to international financing and leasing of aircraft, helicopters and engines. He lectures at the LL.M. in Air and Space Law programme of the University of Mississippi (Ole Miss), School of Law. He is the professor for the full Spring Semester module International Aviation Financing and Leasing Laws. Worldwide, this academic and practical course is the only one of its kind. Also teaching mobile equipment financing law at the Law Faculties of Utrecht University and Groningen University, the Netherlands. Previously, for ten years responsible for the courses transnational aviation financing law at the International Institute of Air and Space Law, Leiden University and corporate/commercial law at the University of Aruba. Honnebier participated in the Diplomatic Conference for the realization of the Convention on International Interest in Mobile Equipment and the Aircraft Equipment Protocol in Cape Town, South Africa (2001). He was the expert legal counsel of the Governments of Aruba and the former Netherlands Antilles and the Dutch Ministry of Foreign Affairs concerning the adoption by the Kingdom of the Netherlands of the Cape Town Convention on 1 September, 2010. He is the author of numerous articles which are published in all the leading air law journals. Editor of Journaal Luchtrecht/Netherlands Journal of Air Law. Frequently and worldwide Honnebier is a speaker at international aviation finance and lease conferences. Mr. Petras is a Legal Officer with the International Civil Aviation Organization (ICAO), Legal Affairs and External Relations Bureau, located in Montreal, where he provides advice and assistance to the Secretary General and, through him, to ICAO organs and Member States, on constitutional, administrative and procedural matters, as well as on problems of international law, air law, commercial law, labor law and related issues. Prior to joining ICAO in August 2011, Mr. Petras was a uniformed military officer and attorney in the United States Air Force. In this capacity, Mr. Petras held a range of professional and leadership positions at both field and headquarters levels, including Chief Counsel for International Law for the U.S. Air Force’s Air Mobility Command and Chief Counsel for Air and Space Operations Law for the bi-national (U.S.-Canadian) North American Aerospace Defense Command (NORAD). In 2008, Mr. Petras was the recipient of the U.S. Air Force’s “Thomas P. Keenan Award,” which recognizes its most outstanding attorney in the field of international law. He retired from the service in 2011, after a distinguished twenty-plus year military career. Mr. Petras holds a Masters of Law (LL.M.) degree from the Institute of Air and Space Law at McGill University in Montreal, where he was the 2001 winner of the Dean’s Honour List Award, and has authored multiple scholarly articles for some of the world’s most prestigious law journals in the field of air and space law. 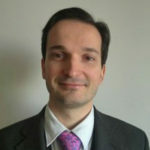 Fabio Tronchetti is an Associate Professor of Law at the School of Law of the Harbin Institute of Technology, People’s Republic of China, where he also serves as Director of the International Law Department. 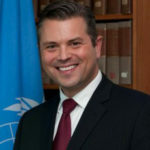 Since January 2014 he works as an Adjunct Professor of Comparative National Space Law at the the School of Law of the University of Mississippi, United States. Earlier in his career he was Lecturer and Academic Coordinator at the International Institute of Air and Space Law, Leiden University, the Netherlands. Professor Tronchetti is regularly invited to give lectures at several European and Chinese Universities, including the Cologne University (Germany), the Leiden University (the Netherlands) and the Beihang University (Beijing, China) and has participated as a speaker at numerous international conferences. Prof. Tronchetti’s scholarly is primarily in the areas of international space law and public international law. His publications include two books and more than 20 articles in internationally peer-reviewed space law and policy journals, such as Space Policy, the German Journal of Air and Space Law, the Journal of Space Law, etc. He holds a PhD in International Space Law (Leiden University) and an Advanced LL.M in International Relations (Bologna University, Italy). He is Member of the International Institute of Space Law (IISL), European Centre for Space Law (ECSL), and the Asian Society of International Law (ASIL). He is the recipient of the 2007 Diederiks-Verschoor award for the best paper submitted by an author not older than 40 years to the International Institute of Space Law (IISL) during the 58th International Astronautical Congress of the International Astronautical Federation (IAF).